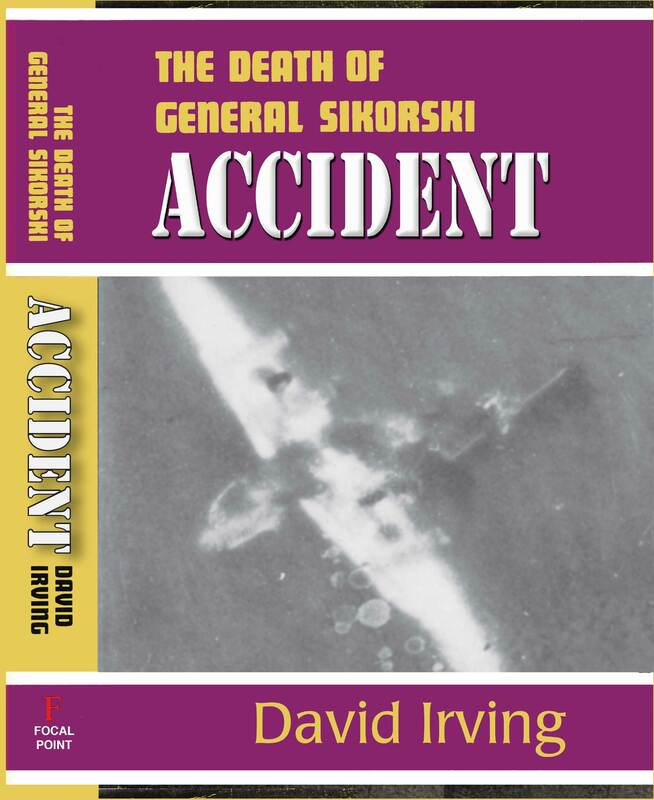 In 2009 David Irving sat for a privately filmed interview to be released later with full documentation, newsreel inserts, and the rest. This is the raw, uncut portrait, ready for the producer's knife and the editor's brush and palette. Irving talks about the England he comes from, about the global campaign to silence him, and about the Holocaust controversy. This film may enrage both friend and foe; but they will find it hard to fault his arguments. Region 0. 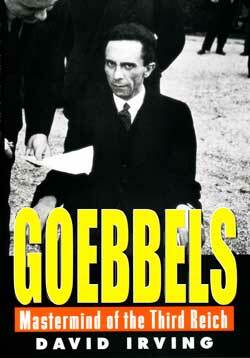 Leni Riefenstahl's most famous cinematic work, her brilliant, chilling film of the 1934 Nuremberg Party Rally. Region 0. Very rare. Ordered destroyed by Hitler, as it soon became politically incorrect (and now banned by the German government too) this is Leni Riefenstahl's unknown film of the 1933 Nuremberg Party Rally. Region 0. On October 17, 1987, David Irving delivered a talk to an Anaheim, California audience on Churchill's role in World War II, the man who destroyed two empires: his enemy's... and his own. 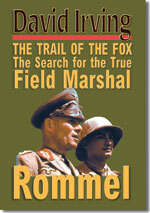 This film is ideal for those who enjoyed the first volume of Churchill's War, for those who have not yet read it but want an overview, or for those who prefer a video to a long book. 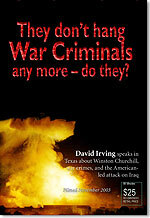 THEY DON'T HANG WAR CRIMINALS ANY MORE - DO THEY? 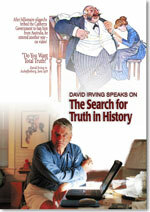 David Irving speaks at Alvin, Texas, on November 29, 2003. 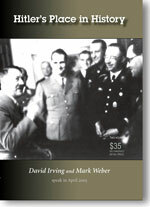 Two lively talks on Hitler’s Place in History by David Irving and Mark Weber, specialists in the Third Reich and World War II, at the meeting of the Institute for Historical Review in California in April 2005. 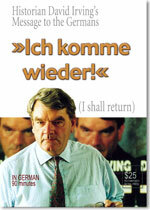 Professional quality film: David Irving: "Ich komme wieder" (I shall return). 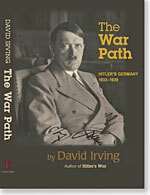 On January 13, 1993 the German courts fined British historian David Irving a total of thirty thousand deutschmarks, around 15,000 dollars, and a few months later he was banned from the country "in the interests of the German people." 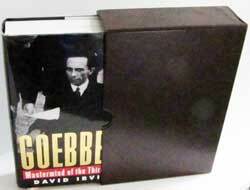 In this ninety-minute illustrated narrative of his life and struggle, historian David Irving, vows: “I shall return.” -- In German. A printed English text is available. 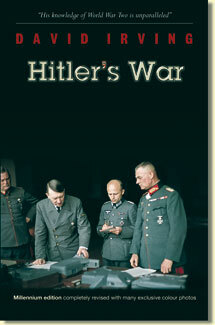 Plus two short bonus items: Irving visits Himmler's East Prussian bunker, and the house where Himmler met his end. After billionaire oligarchs bribed the Canberra Government to ban him from Australia, he entered another way - on video!